This Christmas have a wonderful holiday collectible The Christmas Story Mini Leg Lamp. 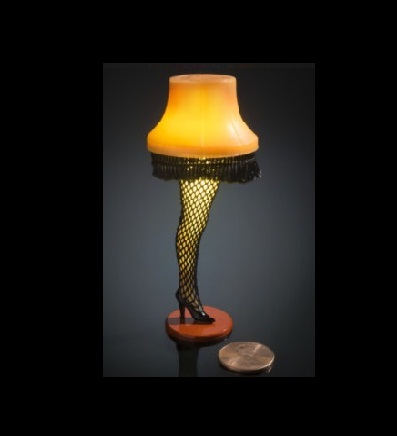 The Mini Leg Lamp is a piece of mini movie memorabilia that gets you into the spirit of the season with a laugh. It is an iconic stockinged leg with attached shade which can easily be recognized by your mates. Buy Now!! !